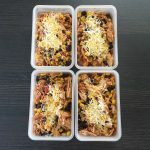 If you’re looking for a quick, healthy dinner or meal prep recipe, then keep reading! 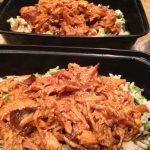 This recipe uses minimal ingredients and is quick to whip up! It’s also paleo friendly which is a bonus in my book! 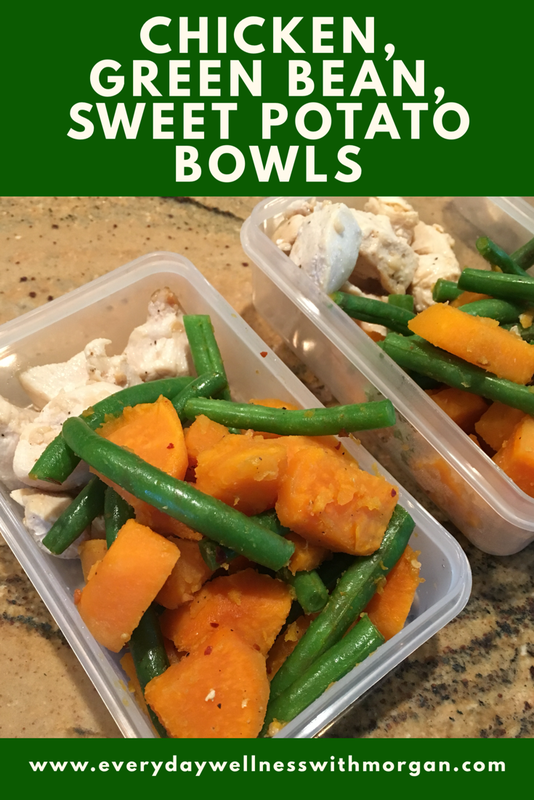 These chicken, green bean, and sweet potato bowls are the perfect meal prep recipe! 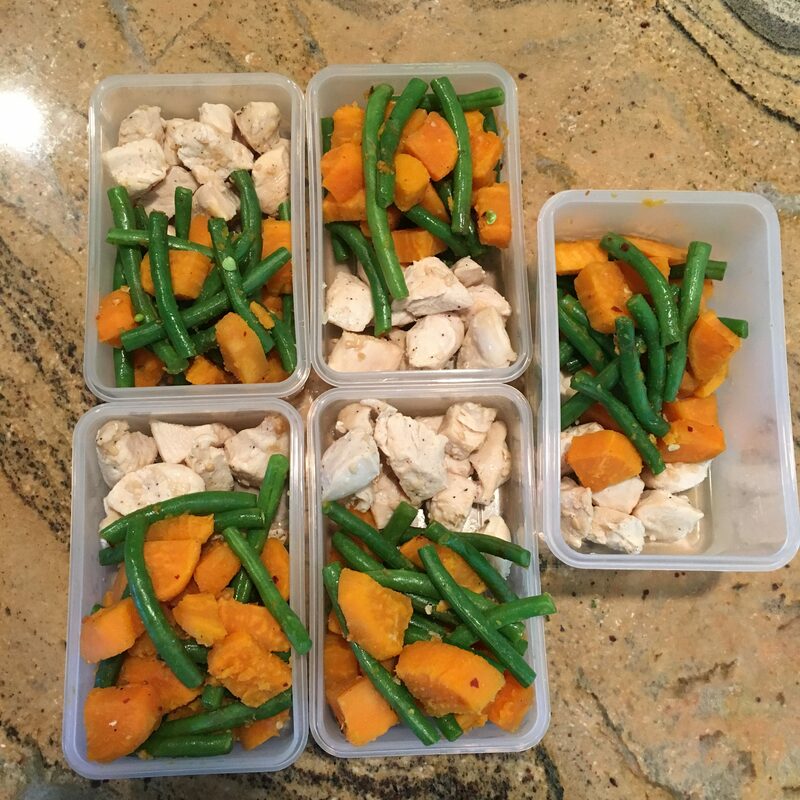 Start out by chopping up your green beans, sweet potato, and chicken. I chopped everything in that order, to minimize the amount of cutting board clean up (I’m all about saving time!). 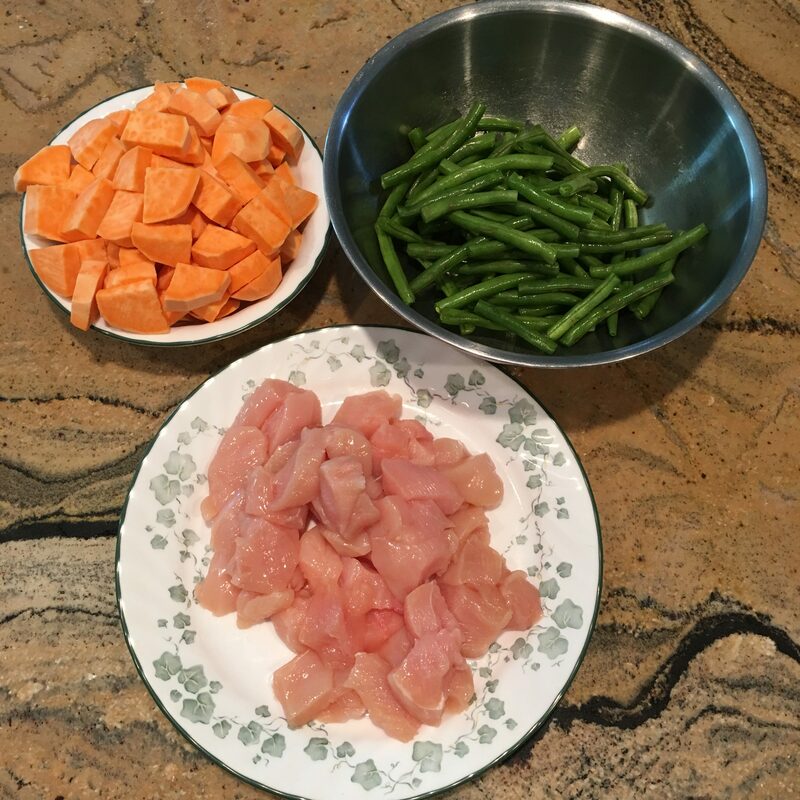 Try to dice your sweet potatoes into evenly sizes as well as your chicken so it all finishes cooking at the same time. Once everything is chopped, you can start cooking the chicken. 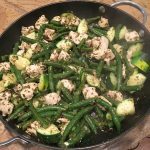 Simply heat the olive oil in a large skillet over medium heat and add in the chicken and garlic. Once the chicken is fully cooked remove it from the pan and set aside. Without washing the skillet, simply toss in the chopped sweet potato and chicken broth. Cook for about 15 minutes, or until the sweet potato is fully cooked. If your sweet potato is taking forever to cook, you may put a lid on the skillet, but be aware that the result will be softer chunks of sweet potato. This isn’t necessarily a bad thing though. It’s all personal preference. 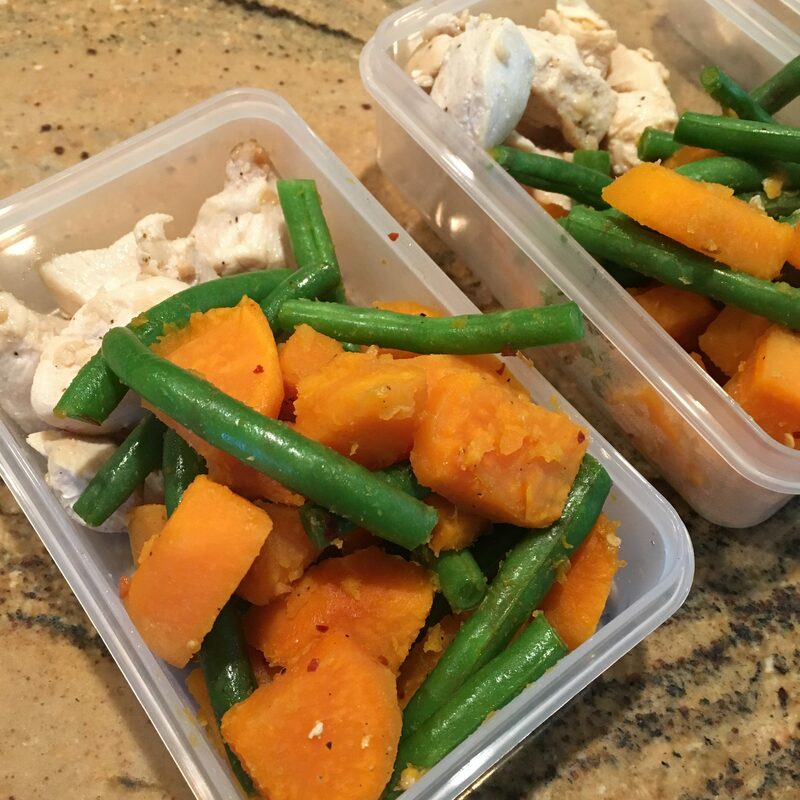 Once the sweet potatoes are cooked, add the green beans to the skillet and cook for about 5 minutes. You can now remove the skillet from heat, pour the cooked chicken back in, season with salt, pepper, and crushed red pepper, and then serve! I decided to portion mine out into 5 containers. I personally love these containers here. 2) in a skillet over medium heat, add the olive oil, diced chicken, and garlic. Stir and cook until chicken is cooked through. Set the chicken aside. 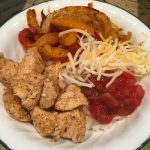 5) Remove the skillet from heat, add the cooked chicken back in, and season with salt, pepper, and crushed red pepper to taste. Mix it all together and serve.